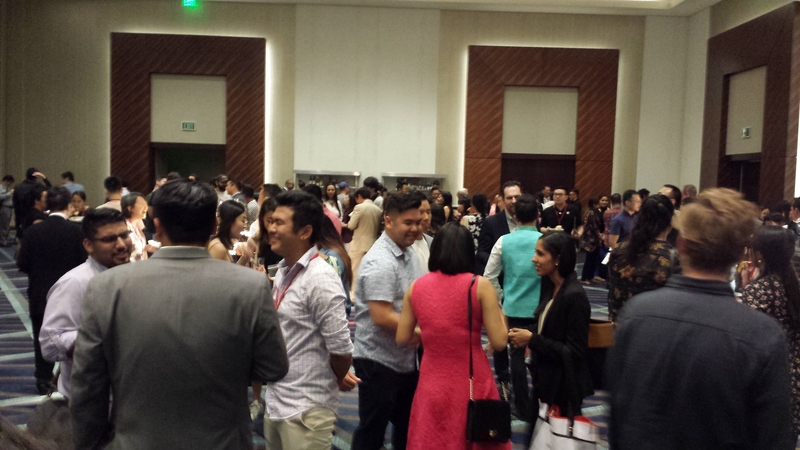 The 2018 Asian American Journalists Association Convention’s Opening Reception was Wednesday night at the Marriott Marquis Hotel in downtown Houston. 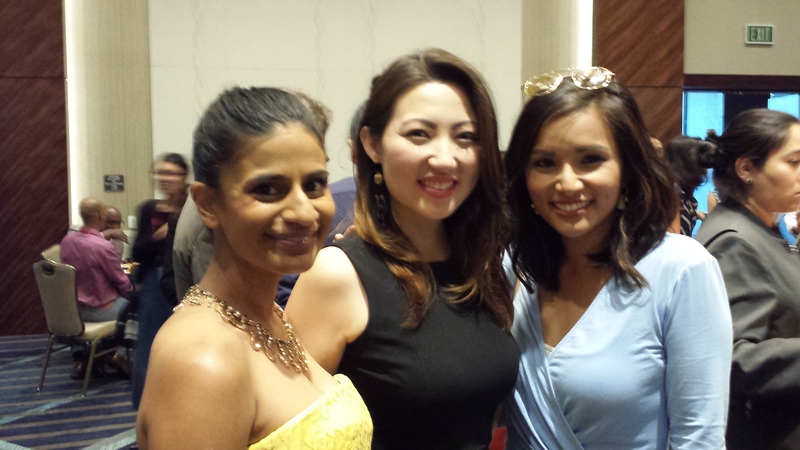 Above, the Texas AAJA Convention co-chairs/reporters Poodja Lodhia and Michelle Choi with reporter Natalie Hee. Tex-Mex food and snacks were served to all who came to meet and greet those who came. 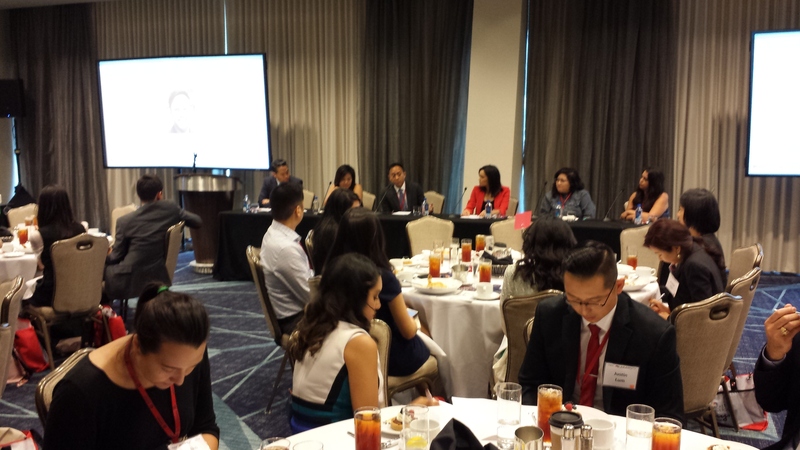 This year’s convention theme is “Press On.” With the news media under attack, a need for more diverse newsroom leadership and voices to present different sides of a story, AAJA leaders thanked everyone for choosing journalism as a career and being here. 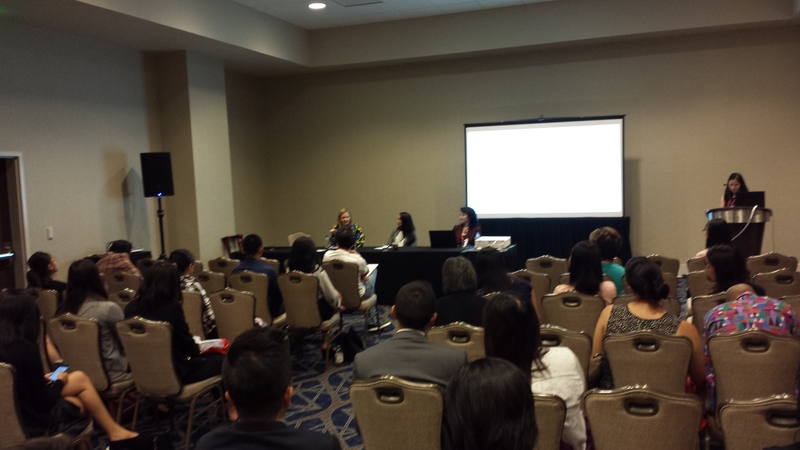 Many paid their own way to attend the AAJA convention in Houston. On Thursday, NBC University 2018 speakers shared their career tips and critiques on writing scripts and video reports in a day-long workshop with invited journalists of all career levels and backgrounds. “It’s a calling. What we do. We’re in there because we care and it’s a public service,” said Vivian Kim, Supervising Producer, NBC Los Angeles Bureau. “The best journalists are curious and human to the core,” Kim said at NBC University. 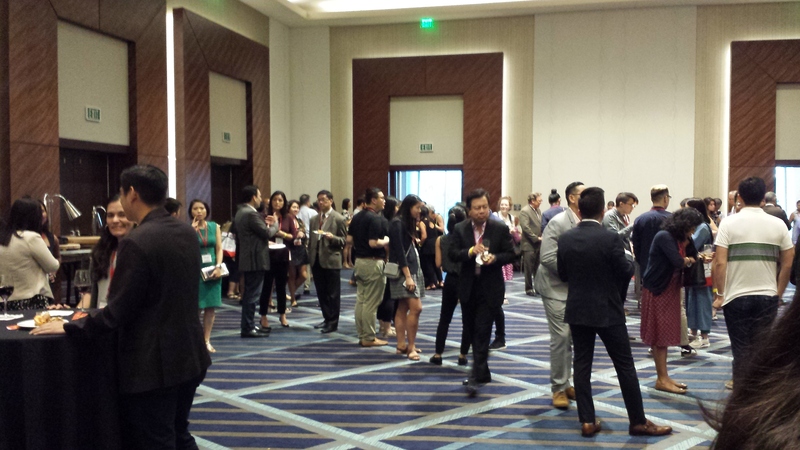 AAJA’s Silent Auction was Friday from 6:30 p.m. – 9 p.m. Bidding also was open to the public and online. Visit aaja.org. How they got the story on Charlie Rose, Boston’s largely white population and Houston’s jails. On the panel Washington Post reporter Amy Brittain, Boston Globe reporter Nicole Dunga and KHOU-TV anchor Shern-Min Chow. AP reporter Sally Ho moderated the session on Friday afternoon. 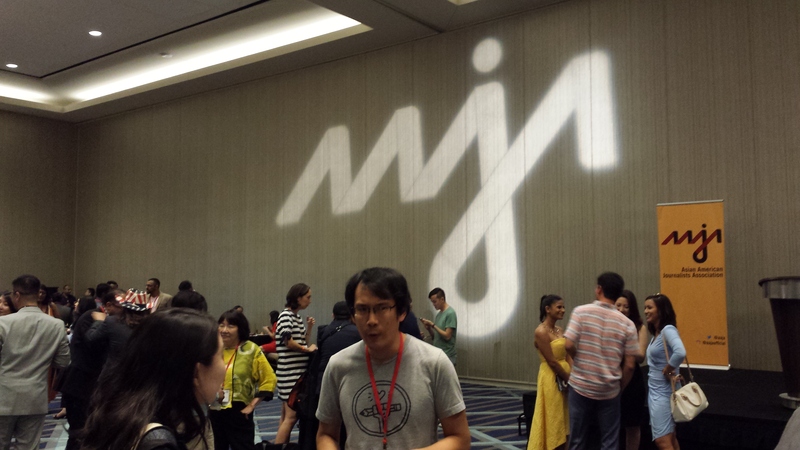 AAJA convention volunteers included reporters, anchors, news producers, those between jobs, recent college graduates, students, a film producer and a news blogger. 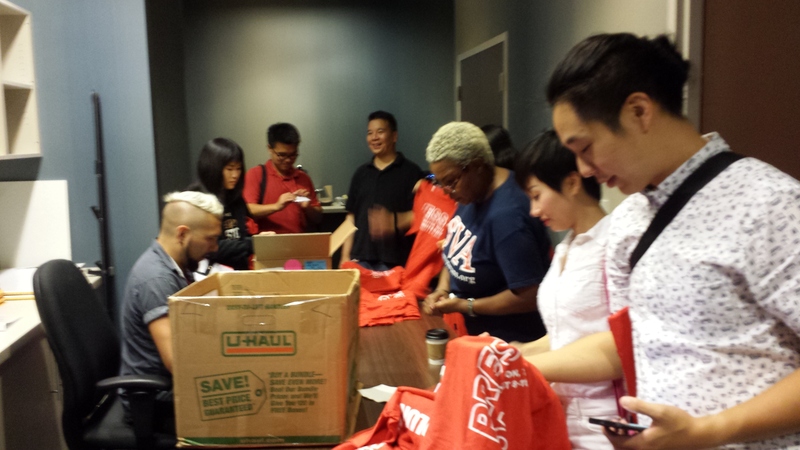 On Tuesday, volunteers and AAJA staff prepared 825 bags for the convention. 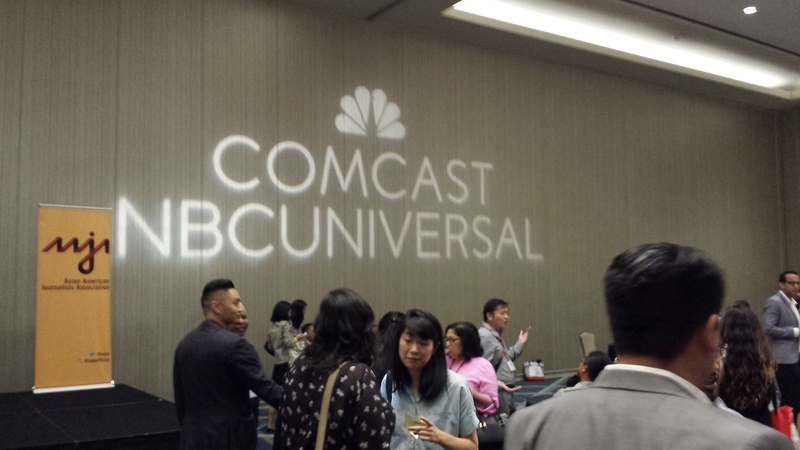 The AAJA convention also included 2 showings of “Crazy Rich Asians,” which opens nationwide in theaters on August 15th. “I loved it!” said a Chicago Tribune employee. who is a Caucasian female. The 2-hour romantic comedy directed by Jon M. Chu has an all-Asian cast and reportedly cost $20 million to produce with a $30 million budget. The Houston Chronicle reports Asian Americans dressing up “Singpore style” to see “Crazy Rich Asians.” Kevin Kwan, the book’s author, lived in Clear Lake, Texas after his father moved the family from Singapore. 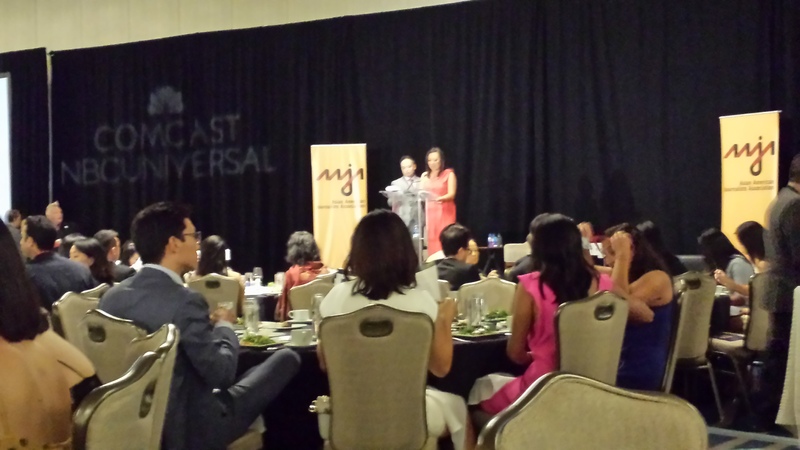 On Saturday night, AAJA recognized its best at the Gala Scholarship and Awards Banquet. ESPN International producer Howard Chen and KTRK-TV Emmy-winning reporter Miya Shay were the gala emcees. Angela Kang, a television writer and currently, a show runner on AMC’s The Walking Dead, Christy Ma and Nikhita Nookala, recent graduates of Marjory Stoneman Douglas High School in Parkland, Florida were the keynote speakers. Ma and Nookala survived the February 14th mass shooting at their school and covered the tragedy for the school’s newspaper, The Eagle Eye. The student reporters said they did not want to talk with the news media at first to mourn the deaths of their classmates. Ma also said they didn’t want to add to the notoriety of the school shooter. Ma said writing about what happened at their school was part of the healing. Ma and Nookla said they plan to become a nurse and medical doctor. The graduating high school seniors will be attending the University of Florida. Houston Mayor Sylvester Turner also welcomed the journalists. “We can take you into space. We can take you all around the globe on any given day and that’s because of the diversity of the city,” Mayor Turner said. He said during and after Hurricane Harvey, the city came together. 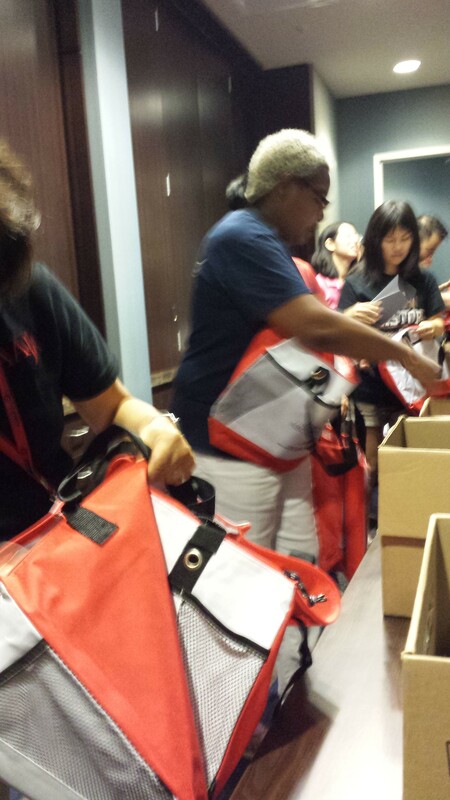 “If Houstonians saw you in need, Houstonians came to your aid. Houston rebounded like never before,” Mayor Turner said. Mayor Turner thanked all the journalists for their Hurricane Harvey coverage in real time. The mayor asked the group to support Houston in its bid to be the site of the Democratic National Convention. The AAJA National Convention heads to Atlanta in 2019. 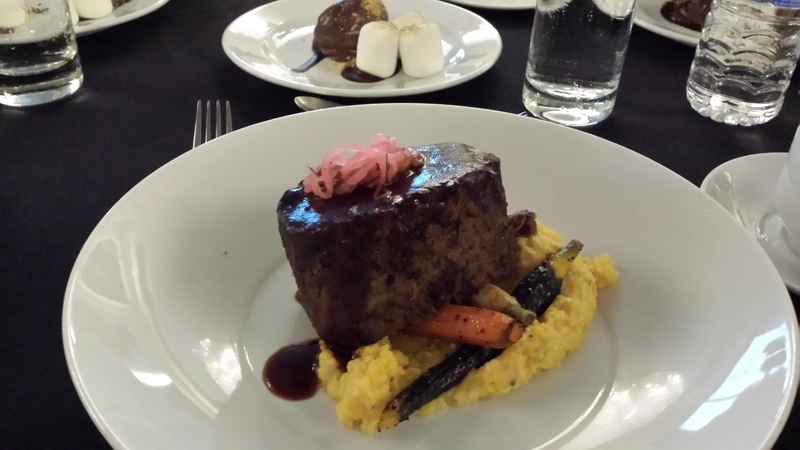 This entry was posted in Asian Community, Asian Community Houston, Houston News, National News and tagged AAJA 2018 Gala Banquet, AAJA National Convention 2018, Asian American Journalists Association National Convention in Houston, Crazy Rich Asians, NBC University 2018. Bookmark the permalink.